– Volume 15, Issue 14, September 29, 2016. 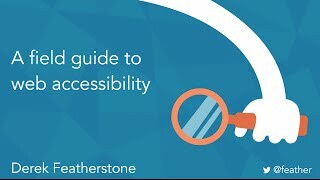 “We all know that we need to ensure that our websites are accessible. By The Faculty Coalition for Disability Rights at UC Berkeley. continues to increase, along with the number of law firms filing them. Slide deck from Léonie’s Mirror Conference talk. By Atul Handa and Kanupriya Vashisht. November 7 and 10, 2016. By Kathryn Whitenton and Katie Sherwin. and share, utilize or cite statistical or demographic data sources. Keep in mind that the Zika epidemic is very recent compared to the Ebola epidemic so that scholarly publications will be far more limited for Zika, especially those that utilize or share statistical data or links to that data. It should also be noted that these links are “self updating” and will run the searches at the time they are used so that newer sources will be found. Links for sources cited lead to a Google Scholar or Google Books search result for the search of the title in either of each source cited. This growing group of health threats will combine the research areas of emerging infectious diseases and that of tropical diseases and the roles of such research will extend further and further both north and south of the equator as time passes. Furthermore weakened health and immune systems will invite subsequent diseases after one has taken hold and remission may replace cured in many cases of illness. Nicki Pesik, Jennifer Miniota, Theresa Tam et al. The Lancet 385, no. 9962 (2015): 29-35. Felipe Calderon, Christine Heidebrecht et al. New England journal of medicine 361, no. 2 (2009): 212-214. Vittoria Colizza, and Alessandro Vespignani. European communicable disease bulletin 19, no. 42 (2014). Science 346, no. 6208 (2014): 433-433. Kwong, Jason C., Julian D. Druce, and Karin Leder. 89, no. 3 (2013): 516-517. Fisman, David, Edwin Khoo, and Ashleigh Tuite. Erik Wetter, Xin Lu, and Andrew J. Tatem. The Lancet Infectious Diseases 15, no. 1 (2015): 55-64. Journal of travel medicine 23, no. 1 (2016): tav011. Jennifer Sears, Felipe Calderon, Christine Heidebrecht et al. J Bacteriol 173 (1991): 1576-89. Open Medicine 8, no. 1 (2014): 20-32. Toby Merlin, and Martin I. Meltzer. Emerging infectious diseases 21, no. 3 (2015): 444-447. Stephen Morrissey, Eric J. Rubin, and Jeffrey M. Drazen. New England Journal of Medicine 371, no. 15 (2014): 1458-1459. Shanks, G. D., K. Biomndo, H. L. Guyatt, and R. W. Snow. 99, no. 1 (2005): 71-74. Dickens O. Kuwuor, Chandy C. John, and Mark L. Wilson. Tropical Medicine and International Health 14, no. 10 (2009): 1258-1265. A. E. Heywood, R. Booy, and H. Rashid. November 2014 to February 2015.” Ebola virus disease (2015): 60. Emerg Infect Dis 21, no. 10 (2015): 1887. Saudi Medical Journal 37, no. 3 (2016): 332-333. Globalization and health 8, no. 1 (2012): 1. Dennis Tappe, Stephan Günther, Lisa Oestereich et al. Journal of Clinical Virology 63 (2015): 32-35. Lucey, Daniel R., and Lawrence O. Gostin. JAMA 315, no. 9 (2016): 865-866. The Lancet 388, no. 10039 (2016): 25. Please bear in mind, Clicking on an image of interest leads to not only to a larger image, but also to link to “Visit Page”. On that page there is usually far more information related to the image. interest in tourism and epidemics. – Volume 15, Issue 12, September 15, 2016.
more inclusive, accessible University community. By Public Affairs, UC Berkeley. By National Association of the Deaf. By United States District Court Northern District of California. “…Here are four things GA can’t tell you but which UX research can. [Net-Gold] TOURISM AND TRAVEL : DATABASE SEARCHING TECHNIQUE : SKILLS: RESOURCES : RESEARCH GUIDES : RESEARCH PAPERS : RESOURCE LISTS : DISCUSSION RESPONSES: How Does One Deal with Doing Research on a Topic Like “Adulteration and the Meaning of Tourism??? [Net-Gold] DATABASE SEARCHING TECHNIQUE : DATABASE SELECTION : RESEARCH SKILLS AND TRAINING: Improving Research by Broading Database Selection Horizons Beyond the Core Databases in Ones Field and Thinking Outside the Box: What Constitutes Good Databases? The PubMed Informer is an online tracking tool that monitors keyword searches for MEDLINE/PubMed. Other features of the PubMed Informer include Search Histories and Archived Articles for each search. askMEDLINE Allows MEDLINE/PubMed queries in the form of simple questions. The tool also provides links to PICO (Patient, Intervention, Comparison, Outcome) interface & Babel MesH – (Multilanguage search for MEDLINE/PubMed). PubMed Widely used bio-literature search engine developed from NCBI. It is a free interface for searching Medline database.It also covers other NLM databases. PubMed Interact It is an interactive interface for MEDLINE/PubMed and follows the search and syntax rules of PubMed. This interactive site from NCBI presents ‘slider bars’ to enable quicker settings and re-settings of different parameters involved in the search strategy.The tool seems to be in its beta version. ReleMed ReleMed categorizes each retrieved citation into 8 different levels of relevance, depending on the frequency of occurrence of the search terms within the title, sentences of abstract & MeSH. Has efficient Automatic term mapping feature. MiSearch Adaptive PubMed Search Tool Ranks the retrieved citations based on an estimated likelihood of a user choosing to view them. User’s citation choices are acquired by the program during browsing. Whatizit A sister application from EBI that can be useful in a wide variety of advanced searches. This engine, which may also be accessed programmatically, can search specific terms in molecular biology in given texts and link them to publicly available databases. Novoseek It is a biomedical search engine. It indexes articles from PubMed and open access articles from PubMed Central. Web of Science Is a commercial search engine from Thomson Reuters, known for its citation tracking ability. A text mining tool that detects co-occuring biomedical concepts in abstracts in MEDLINE. It is especially useful for microarray data analysis. Like PubMed’s Related Articles feature, this search engine lets the user input an entire paragraph and returns MEDLINE abstracts that are similar to it. Results are divided into meaningful categories such as concepts, persons, institutions, places, journals and dates. “Adulteration and the Meaning of Tourism???? The topic of Adulteration and the Meaning of Tourism came up for a lively sharing of thoughts and ideas about this topic on a tourism discussion group. I shared unrelated thoughts about finding and researching topics containing jargon as part of the labeling of the subject in a post to that list that follows below. This is not in any sense a criticism of any part of this discussion. I just found myself surprised and bemused by this strange juxtaposition of words. Adulteration (can you say food products) is not expected to be found in conjunction with tourism, let alone meaning of tourism, but it is a catchy way of labeling an issue. I decided to check a few databases and see what this combination of concepts produced in the literature and here are my results. causing a strange and irrelvant result. This looks much more probative. Now if a student visited my office with this wording of this topic, I would search just these ways to see if a paper could be supported with a reasonable literature review in quality and quantity of relevant sources. to explore and get out into the academic media. a discussion about searching that may be useful to you, your students and your colleagues at the link below. By the way, if you follow the links to my research guide in this post to SCIMAGO, you will find an excellent list for both tourism and for hospitality and other lists related to tourism of the top journals in each field you explore based on Scopus criteria. I also have a new and under constuction bibliography on Public Spaces and Gender which is still getting journal article citations added but has plenty of books and articles already cited. Furthermore, the link of each item in this bibliography takes one in this guide section to a search of the title in either Google Books or Google Scholar making each entry link into a bibliography of sources about the term content of the book title. Emailed comments regarding any of the above resources are welcome. Scholars, academicians, professors and writers often teach and write using a very specialized and jargon filled discourse. Much can be gained by these folks in terms of increased audience and improved understanding if they define all of these specialized terms with plain English equivalents. Also keep in mind that plane English would be the kind of discussions stewardesses and pilots have with each other and with passengers, my guess is that there is a lot of winging it going on with it in this arena. additional meanings of all words used as that will create noise in search results. One also gets extra points for correct spelling as words incorrectly spelled in searches, we all do it, create potential havic with search results. Robert Hill knows firsthand what its like to be an overweight child. I grew up hating physical activity and only eating foods that tasted good to me, he said. With no one to guide him about healthy food choices, Hill became morbidly obese by the time he was a teenager. Like many overweight young people, he was shunned by his classmates and bullied. Hill is now healthy and fit, having had gastric bypass surgery when he was 19. But his early experiences have stayed with him, informing the way he works to prevent childhood obesity today. In his current job as the director of youth wellness programs at the YMCA of South Florida, Hill incorporates exercise and good nutrition standards into after-school and summer programs. There was a girl, 8 years old, named Marie. She was obese and had just been diagnosed as pre-diabetic, recalled Hill. Maries mother was desperate for solutions, so Hill helped her enrolled in an exercise and nutrition program called YFit. Weight is never measured in Hills programs, but Maries mother reported that her daughter quickly made progress. She lost two pounds in a week, just getting the recommended 60 minutes of physical activity every day, said Hill. In 2011, the National AfterSchool Association adopted standards for healthy eating and physical activity (HEPA) in out-of-school time. Programs will not serve fried, sweetened or salty foods, or those containing trans fat; no posters or advertisements promoting unhealthy foods are allowed. Food is not used as a reward or a punishment; holiday and birthday celebrations do not include unhealthy foods. Staff are trained in good nutrition; they eat the daily program snack or meal with the children and discuss the benefits of healthy food choices. Parents are educated about healthy eating and receive guidelines about good food choices their kids may bring to the program; they are encouraged to support healthy eating habits at home. Programs do not allow access to movies or television, and limit digital devices to those used for homework, used less than one hour per day. Programs spend at least 20 percent of their time (typically 30 to 60 minutes) in moderate to vigorous physical activity, outdoors whenever possible, including aerobic, bone- and muscle-strengthening exercises. Now, in an effort that could become a legislative model, California has launched a recognition program called DASH (Distinguished After School Health) to encourage the states 4,400 publicly funded OST programs to voluntarily adopt HEPA standards. Applications have been reviewed by the California Department of Education (CDE), and certifications will be issued this summer. More than 200 schools applied for recognition, according to assistant communications director Robert Oakes. As far as CDE can determine, if this is not the first such program nationally, its certainly a pioneering effort, said Oakes.